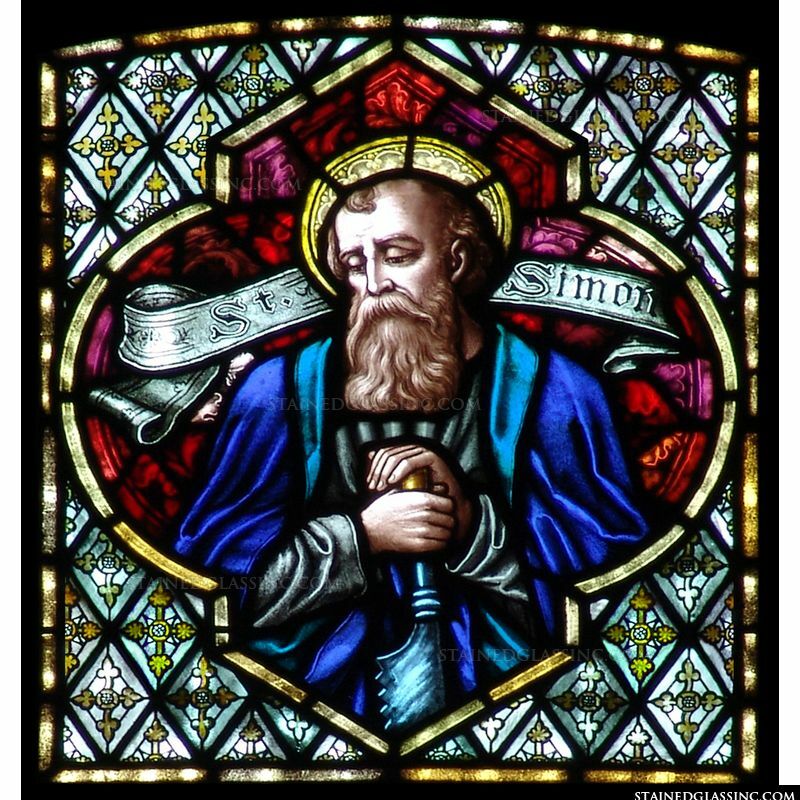 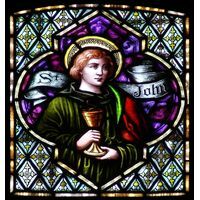 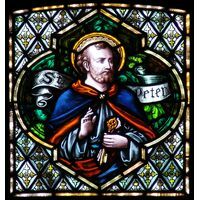 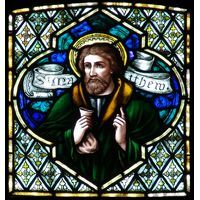 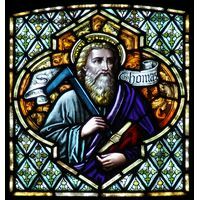 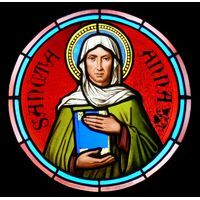 Saint Simon holds his signature saw in this stained glass window. 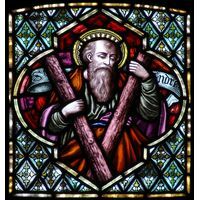 According to legend, he was put to death with a saw, so he is commonly featured holding this saw as a reminder of his faith in the face of death. 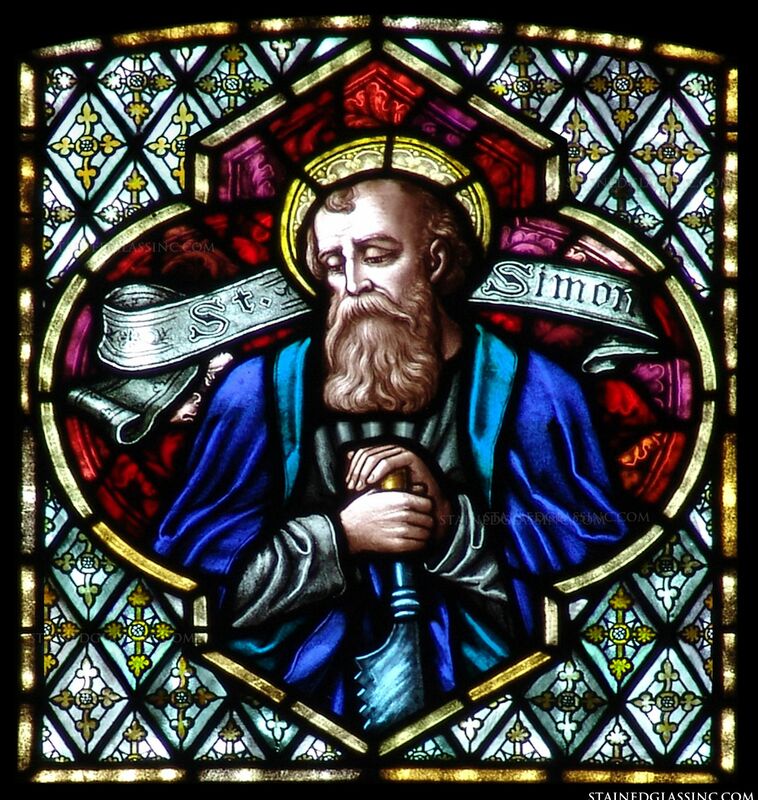 As one of Jesus Christ's Apostles, Simon proved a worthy disciple who was known as a zealot for his level of righteousness and passion for the ministry. 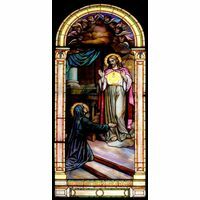 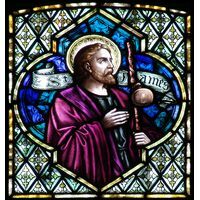 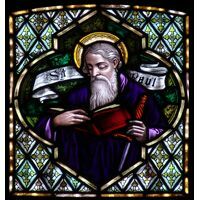 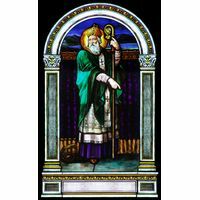 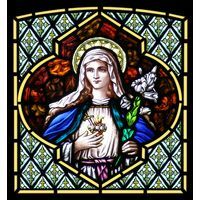 This colorful stained glass insert offers an inspiring portrait of St. Simon for a church, chapel, or cathedral.